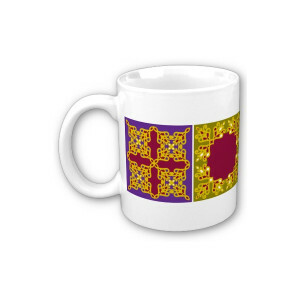 Designed exclusively for Showtime by SCAD (Savannah College of Art and Design), the mug is fit for a King and perhaps even his queen. The patterning on this mug was inspired patterns commonly seen during the reign of King Henry VIII. The classic mug has large handles that make it easy to hold. 11 oz. Dishwasher and microwave safe.